Dr. Pelto's Blog: Do I really need injection for heel pain? Do I really need injection for heel pain? Most of my patients come in, and when I go over my treatment protocol, they ask me, “Do I really need an injection for heel pain? Can I do anything else?” Most people are willing to do anything in the world but get a cortisone injection. What I have to say to them is that a cortisone injection may be a little uncomfortable, but you’re going to leave without pain in your heel, and I can pretty much guarantee that. If you’re having pain in the heel after you get a cortisone injection, it may not be the right problem. 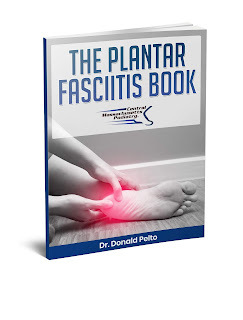 It may not be plantar fasciitis or it may have been given in the wrong spot, or there may be more than one problem. A cortisone injection, in my opinion, is needed to get you better and it works the quickest. If you don’t have that much pain, you may be able to get by with doing the other stuff, but for most people that’s very essential to get better.